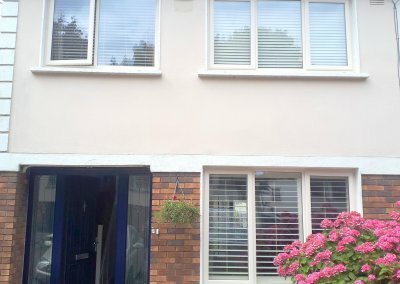 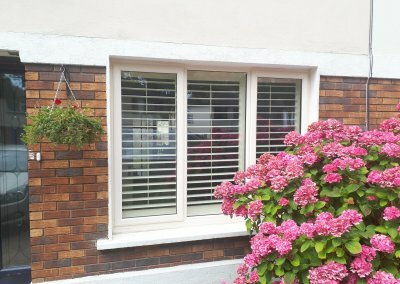 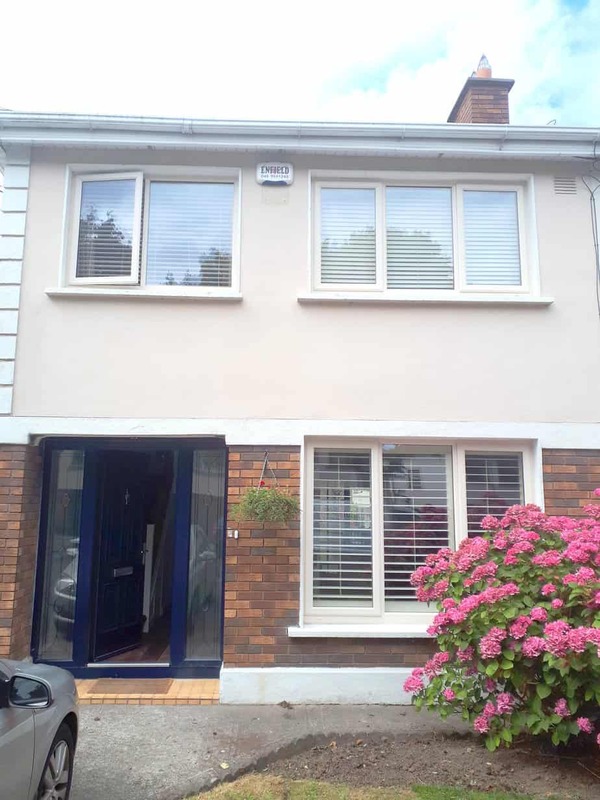 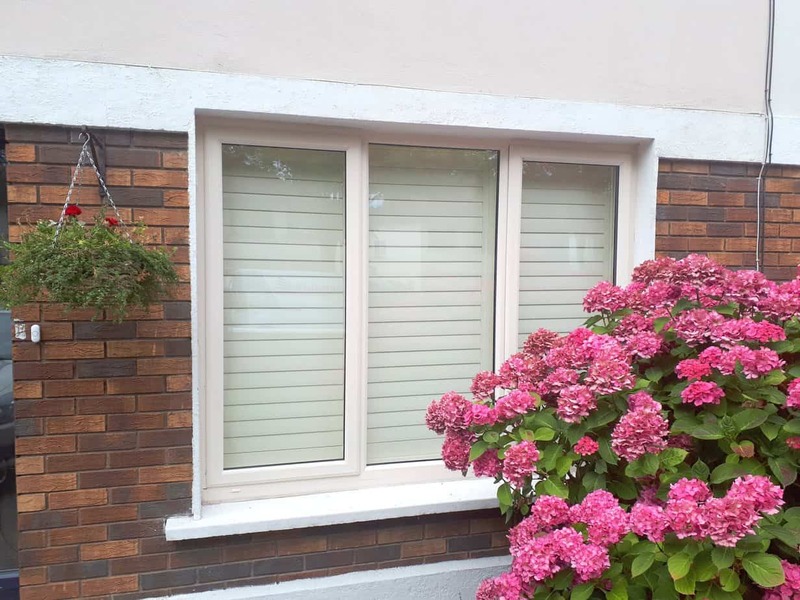 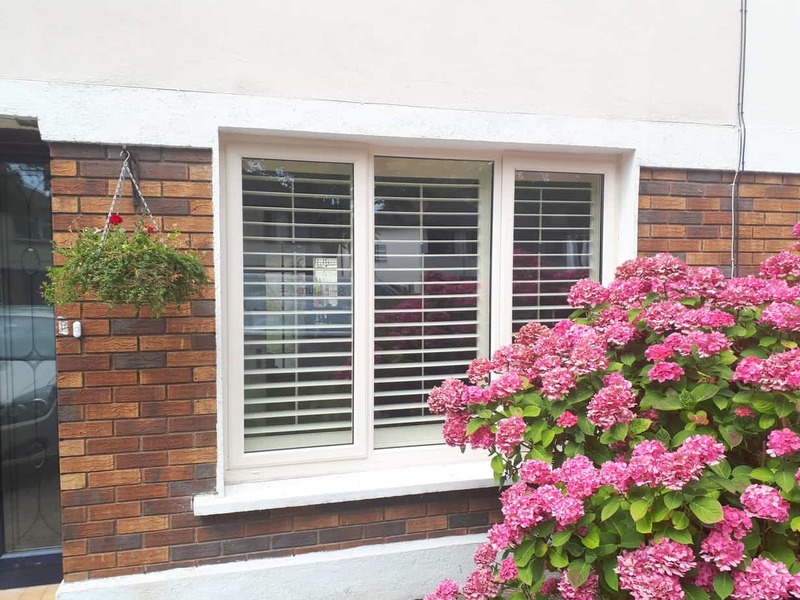 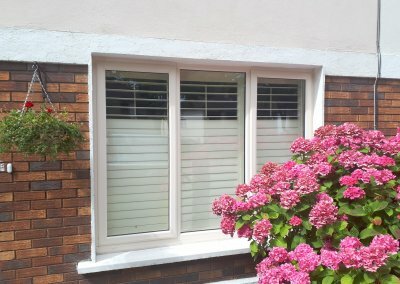 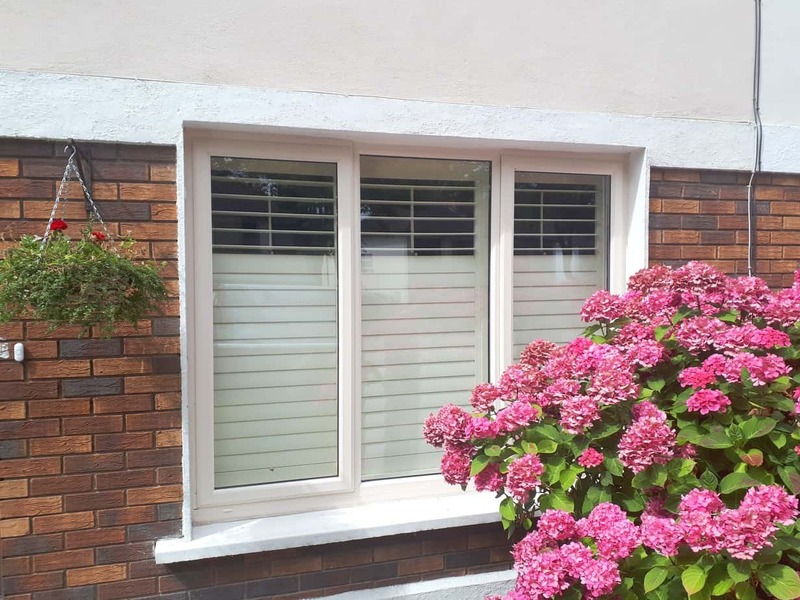 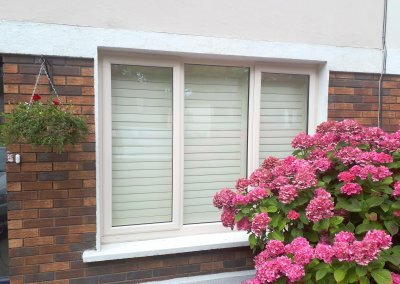 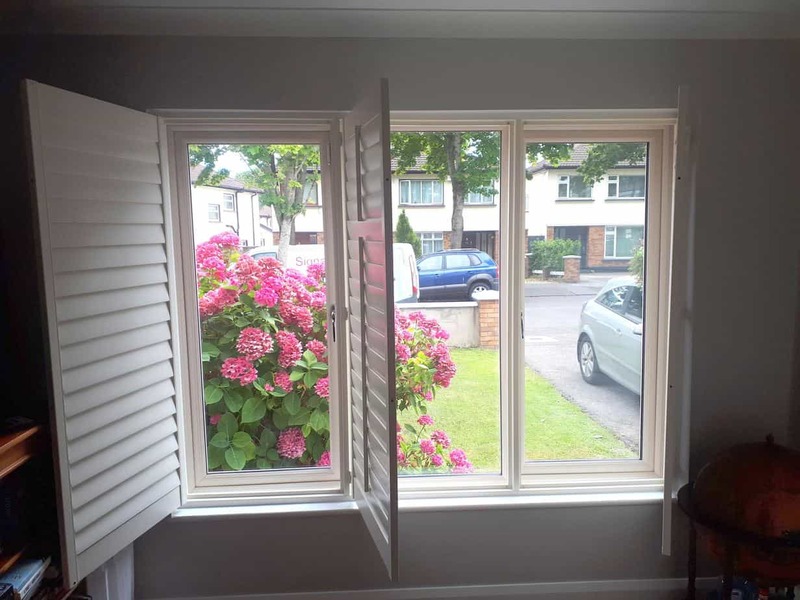 White Plantation Shutter fitted in Castleknock, Dublin 15. 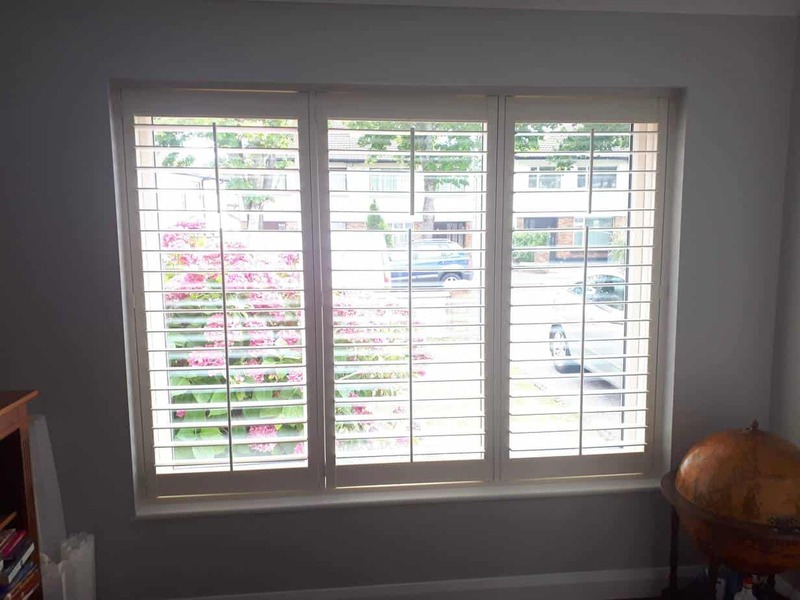 This large shutter has been fitted in the sitting room. 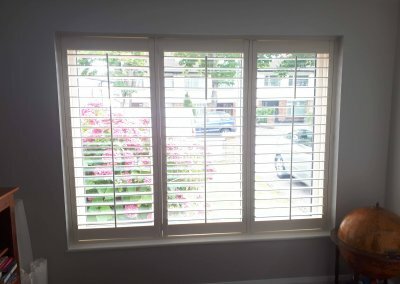 There are tilt rods which you can see are in the middle, they are used to open and close the louvres. 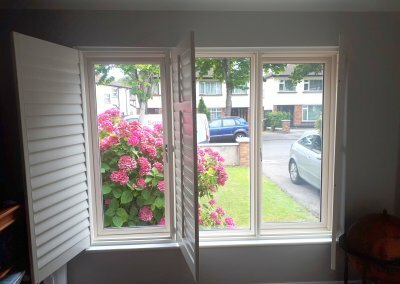 There is also a split in the shutter which means that the shutter is split into two separate sections which can be closed or opened independently.